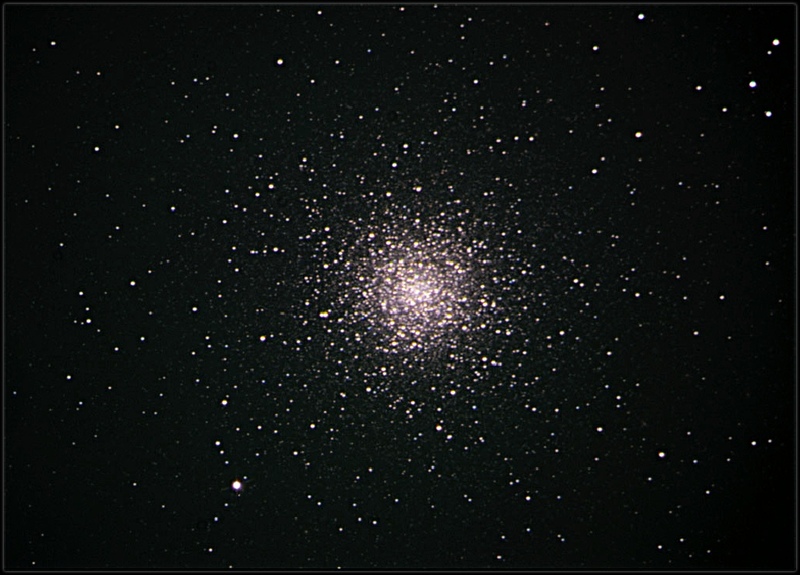 At an approximate distance of 33,900 light years, M3 is estimated to contain a half a million stars. 25 minutes of Luminance, 1x1 binning. 15 minutes each of Red, Green and Blue, 2x2 binning. Image acquired using SBIG St-10XME camera with Astrodon filter set through 12" Meade Lx-200 GPS telescope with Celestron .63x reducer.